"I am pleased to report the successful conclusion of a session at the LDP Public Enquiry earlier today concerned solely with our site. I put this down to all the preparatory work you and others have done to get us to this stage." "Urban Foundry undertook an Impact Assessment of our award winning Chepstow High Street Regeneration Scheme in 2010. Due to unavoidable delays, the tendering process took place in late summer with limited timing to complete visitor surveys. You quickly identified the necessary resources to complete the study within a tight timescale to a high standard. Many Thanks." "I've known lead consultant Dr Ben Reynolds for several years and worked with him on a number of issues. In particular, most assiduously, he gave of his own time as part of a group to advise me on the rewriting of Community Work (4th Edition) to be published by McMillan Hargreaves in 2007. I've found Ben's comments extremely insightful and helpful and was most impressed by the quality of his work." "Because you have worked in the Third Sector I know that as well as your intellectual ability, you will apply your considerable practical experience to your consultancy work. That is why it has been a pleasure to work with you on community social and economic regeneration projects and the Compact Consultancy over the past year or so." ‘Thanks to you and your team for absolutely everything. Lovely working with you, and keep up the brilliant work"
"Really cool people, loads of families, it’s definitely the best place in Swansea at the moment." "Urban Foundry worked with us on a whole Farm visioning event and delivered training on outcomes monitoring. The work is thorough, professional and grounded in a clear understanding of the needs of third sector organisations and the environment in which we operate. We’re planning to use them again!" "Working with you has been a great experience in helping us really think about how the people living in our communities interact and connect with place, space and each other. You have challenged us to understand the huge potential in our communities for creating great places to live and thrive." "Through your commission by Healthy Directions to provide tailored business support undertaking a business audit and exploring the project's exit strategy, we found you to be very professional in your approach and extremely supportive in your manner. The work undertaken met all the required timescales and fulfilled the purpose of the brief; it was concise and written in a style that was appropriate for a wide range of stakeholders. Its content was honest and practical, making recommendations that the project was able to act upon. Healthy Directions valued the work undertaken by you and would have no hesitation in recommending your services to others"
"You were inspirational in the role of 'Chair’, giving an informative and insightful overview of the importance of the arts in the creative regeneration of our towns, and how this could apply here in Haverfordwest." "I am sure that without your help with what can only be described as a "minefield" of application forms and correspondence, we would not have been successful in our bid for Cydcoed grant funding. Many thanks for all your assistance and support." “Our Reach the Heights funded Olion project used art based activity to engage young people to work with young people who were not in education, employment or training. Measuring the impact of the project was important to us to both satisfy the funding requirements but, more importantly, to share the stories and journeys of the young people who took part. Your extensive experience in this area provided us with credible evaluation that tracked and reported on the project in a sensitive and meaningful way. The project was a huge success and the evaluation celebrated this by providing impressive statistics and personal stories from the participants”. "Working in close collaboration with Urban Foundry we invited Ben Hamilton-Baillie to Swansea for a two day visit to assist us with our thinking on the redesign of our City Centre. The two days were highly informative and inspirational for all staff involved. This event has been a milestone in helping us to start to develop a more innovative and coherent approach to our urban planning." "Urban Foundry run a lot of projects so no two days are the same and that's amazing! I experienced so many different event management roles throughout my internship. The team are all lovely and willing to help with absolutely anything I needed. I've loved the past seven weeks and look forward to the rest of my internship and hope to volunteer with Urban Foundry and Unit Nineteen in the future." "Having spotted your insight and creative approach during your input to the Swansea Arts Strategy process, I had no hesitation in engaging you to formulate the business plan required for the second-stage application to the DT100 fund. The collaboration demonstrated your thoroughness, efficiency and quick grasp of strategic issues. Consequently, the resulting document will serve not only as an application but also as a useful roadmap for the Festival's next stage of development. I should recommend you warmly to any arts organisation seeking an objective, analytical approach to future business and artistic planning." "You were able to offer us support and training that practically we have been able to use in our own organisation because we were able to discuss at the outset a bespoke package of support. Too many providers these days provide standard courses off the shelf and have no real interest in the organisations that purchase them which we definitely can't say about you." "One of the most excruciating things about setting up a new social enterprise is deciphering exactly what it is you want, and why. Having someone to unravel the many ideas and help me reach what should have been an obvious conclusion has been a crucial turning point for my business and my career. With your advice, knowledge and support, I now have confidence to take some risks and reach my highest of goals, using the skills, experience and facilities I already have." "You are really organised and build strong relationships with the organisations you work with. Our clients rate you highly and we've had rave reviews recently from a community engagement assignment you led. We've asked you to deliver against outcomes for us on a number of projects and you've consistently delivered high quality work on time and in budget. Our clients report that you are a pleasure to work with and we are more than happy to recommend you." "Swansea Environmental Forum was at a key stage in its development, facing some challenging decisions about its future role and priorites. The Forum members enthusiastically engaged with your study and were most impressed with the specialist facilitation skills and consensus building that led to a very productive Action Plan. We would be eager to use you in future for similar strategic review work." "Working with you has stimulated fresh ideas across departments in Natural Resources Wales. The project, which was completed as part of our trial into natural resource management has provided us with a set of principles to help NRW sustainably manage our natural assets in the urban environment for people, the environment and the economy. Working with you has allowed our staff at local level to create connections with other organisations in your network for future collaboration. Your staff were very communicative throughout the project and have a creative outlook, which has encouraged local staff in NRW to be more flexible and innovative in our approach, seeing opportunities not barriers. The local knowledge not only of the surrounding environment but, also the many organisations who worked within the project area was invaluable. A professional high quality report was delivered to schedule, which is appropriate for us to use in our discussions with a range of stakeholders from community members to local Councillors and Assembly Members. A pleasure to work with." "I approached Urban Foundry to coordinate and construct a bid for a significant amount of Arts Council Wales and Welsh Government funding as the University has used the company before. Ben worked with multiple colleagues within the University and from across the South Wales region to draft a well-constructed and coherent bid document that clearly reflected the collaborative nature of its development. You have a quiet, confident and professional approach; you maintain excellent communication with key individuals at all times and were able to negotiate appropriate solutions to issues that arose in the bid development. 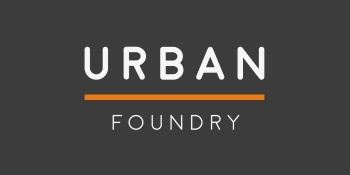 I would be very happy to recommend Urban Foundry to support similar activities, collaborative ventures and project design. I found you to be committed to our success and reliable throughout the bid process and in the follow up period after we were successful in the award." "You provided invaluable assistance when the Council was pursuing its Cydcoed Grant application; it was of immense help to me personally and I was very pleased and relieved when we were successful in receiving a grant of £25,000. I have no doubt that the success of the bid was in no small part due to the work that you had put into the scheme." "The process was not an easy one, but with your support we generated a positive dialogue with the building’s owners and other key people in the local area, established the condition and viability of developing the building, and developed a creative and dynamic vision, supported by a strong business case. It was not an easy process but we achieved our goal and we are delighted that we will be able to invest in this important initiative that will deliver benefits for the University and its students, as well as for the general public living in Swansea and the wider region. I am happy to recommend you to others seeking creative consultants that can help to make complex but exciting regeneration projects like these happen." "You acted as our consultant on the 'Small Grants Scheme' we ran last year. You gave prompt, professional advice throughout the process helping establish a very successful project. We would definitely use your services again." "The Uplands Market has been a massive boost to trade and to the Uplands in general. Market days are lively and vibrant, there is always a really good atmosphere and the huge increase in footfall is good for everyone. After several years the Market continues to make a positive impact and long may it continue!" “The structure of the feasibility study was made clear from the offset, methods of work were thorough and the tight timescale adhered to throughout the process. The final report and business plan was presented in a professional structured format in the agreed time. It is obvious that they are experts in their area of work, their expertise and excellent communication skills have enabled them to produce a study and business plan of very high standard which will be used in supporting grant applications for the community over the coming years. St Ishmaels Community Council have no hesitation in recommending you; you were a pleasure to work with." "[Urban Foundry] were commissioned by Neath Port Talbot County Borough Council through a tender process to conduct an audit of existing arts provision across the County Borough of Neath Port Talbot , to generate knowledge in terms of expectations of arts delivery and possible gaps in provision and to develop content for a website and advise on its format in order to improve knowledge of what is already happening in the arts across the county. Through the establishment of twelve focus groups across the County Borough you were able to formulate a detailed response which was clearly articulated in a timely report, linked with effective strategies to adopt to address gaps/issues identified. The report has been invaluable in focusing our business development plans and also in prioritising spend. I would have no hesitation in recommending you." "On behalf of Jazz Heritage Wales thank you for all the work you put in updating the format for the Before Freedom Primary Schools pack. The updates are of course more accessible as they are on the modern format, and bilingual. In addition, I must congratulate you on the presentation, as the way you have laid it out has really helped to make the content clearer to the reader. Your work will allow this important story of the Slave who arrived in Wales in the 1830s to be shown to much wider audiences through the People’s Collection Wales, and the HWB teachers resource. The timeline was also a tricky piece of work, helping us to work out what was needed, and how best to present it, and it has already been well received. It has been printed out now, for the book to hand round, and looks very good in this format, as well as the slideshow. Again, it seems to really tell the story very clearly, and with both pieces of work, you have delivered them on time, and with the maximum efficiency." "The 'Cwtch the Bid' campaign was an inspiring effort that spread beyond a city and a region; it was an effort that galvanised the support and imaginations of people all across the country." "Trilein undertook a Mid Term Evaluation of the Collaborative Communities project in December 2011 which was a particularly complex piece of work that involved working with the 8 partners of the project and community groups that the project has supported. The work undertaken was very professional and the communication between the company and myself and partners was excellent throughout the working relationship. I would recommend Trilein to any other organisation wishing to undertake similar evaluation studies because of their experience; the quality of their work and their ability to understand the requirements." "The mapping exercise was a particularly difficult thing to sell let alone take on and produce results for. For that all the members of the group will be eternally grateful. The presentation of the results was innovative, clear and immediately re-useable to further our thinking. You produced material to order, on time and extremely professionally. You have an immediate and overall understanding of the issues but also a keen and supportive interest in the arts. Your work in bringing the three consultations together and as a team member in pulling the whole strategy together as a piece was also extremely valuable and helpful. When we presented the strategy to the Arts Council at the specific feedback conference with other authorities who had undertaken the same exercise, it was abundantly clear that the Swansea approach was light years ahead of the rest. In particular, we had delivered what we said we would and the material - easily accessible and actually fun to have - was what was actually need to forge strategic ideas for the future for young people and the arts in Swansea. Your contribution to that achievement was vital. Thank you again on behalf of the City and County of Swansea Youth Arts Strategy core working group."